Sven Gevers was appointed General Director of Belmond Grand Hotel Europe in summer 2018. Sven joined Belmond in October 2009 as General Manager at Belmond La Residencia in Mallorca. Having succeeded in this role, he moved to Asia in 2012 to become the Regional Managing Director, Asia overseeing 5 Belmond hotels in the region and holding co-responsibilities for Eastern & Oriental Express and Myanmar cruises. 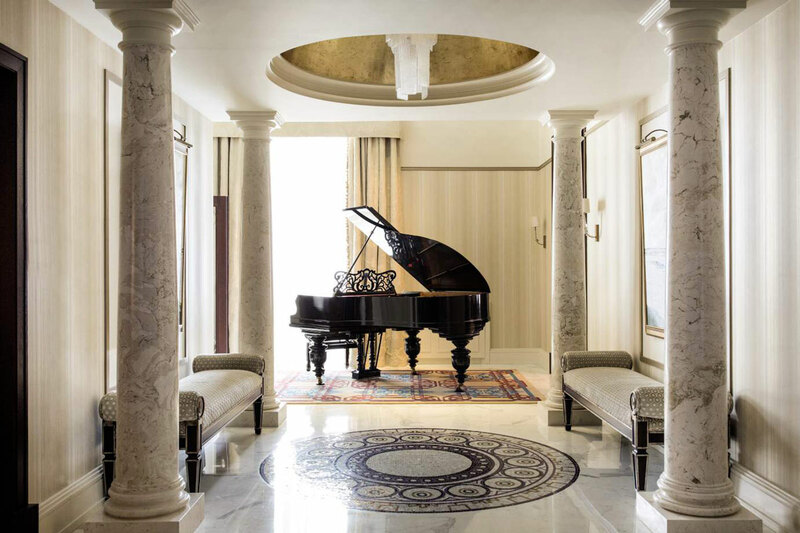 Italian architect Carlo Rossi used an impressive Neo-Baroque façade to combine neighbouring properties dating back to the 1820s to create one magnificent building for the Evropeyskaya Hotel Company. This opened as Hotel de l’Europe in 1875. The beautiful Art Nouveau designs still enjoyed today were introduced by Swedish-Russian architect Fyodor Lidval at the turn of the century. From the First World War to post-revolutionary times, the building has been a hospital, orphanage and government offices. 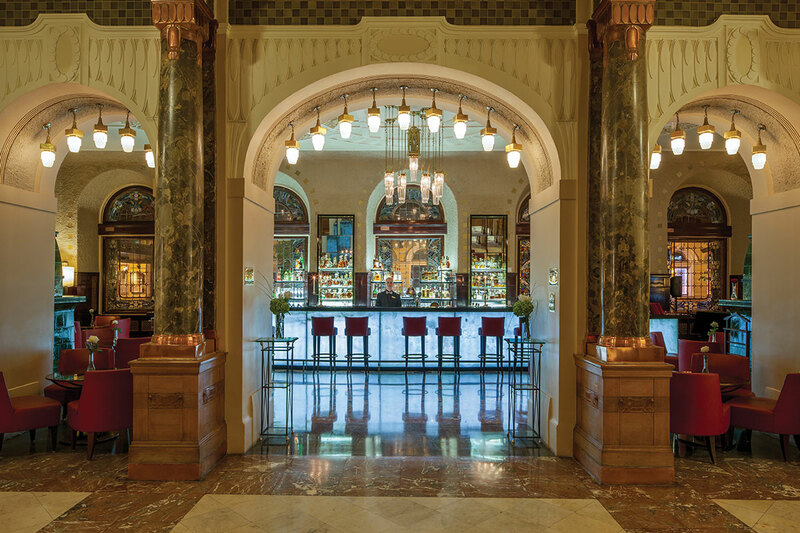 Thanks to careful and extensive renovation between 1989 and 1991, the building was restored to its former Neo-Baroque and Art Nouveau glory and re-opened as Grand Hotel Europe. The building is now classified as a historical monument. Hotel enjoys an ideal location on the famous Nevsky Prospekt, the primary avenue of St Petersburg, and is within walking distance to the Church of the Split Blood, Russian Museum, Palace Square and Hermitage Museum. St Petersburg is an enchanting city steeped in romance, full of unique ideas. Within a short walk you’ll reach the awe-inspiring Winter Palace and the Hermitage Museum. Discover St Petersburg in true Russian style with a tour of the River Neva and explore the city centre from the riverside. Experience the palatial splendour of St Petersburg, for example, impressive Amber Room at the Catherine Palace. In 1979 Elton John came to USSR with a tour and stayed in Belmond Grand Hotel Europe. 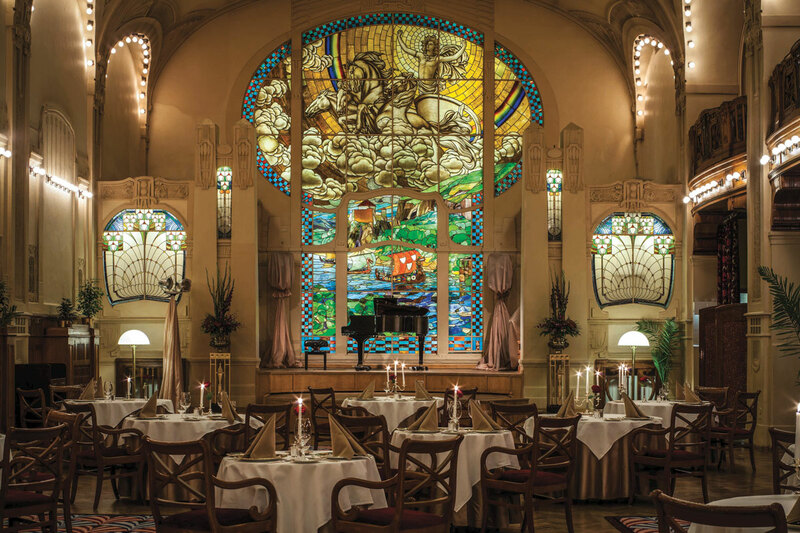 After the concert, a reception in his honor was given in L’Europe restaurant with its luminous, art nouveau interior. Inspired by this warm welcome, Elton John gave a spontaneous recital there. The dedicated Kids’ Programme for children up to 12 years old includes a gift of a teddy bear, baseball cap and certificate for cake or ice cream at the Mezzanine Café on arrival. Additional child-friendly features include: Children’s menu, colouring book and pencils available in all hotel restaurants, Playroom for use during brunch, Children’s chairs available in all restaurants, Baby seats in transfer cars, Baby terry bathrobes, slippers, shampoo, crib and chair in the rooms. 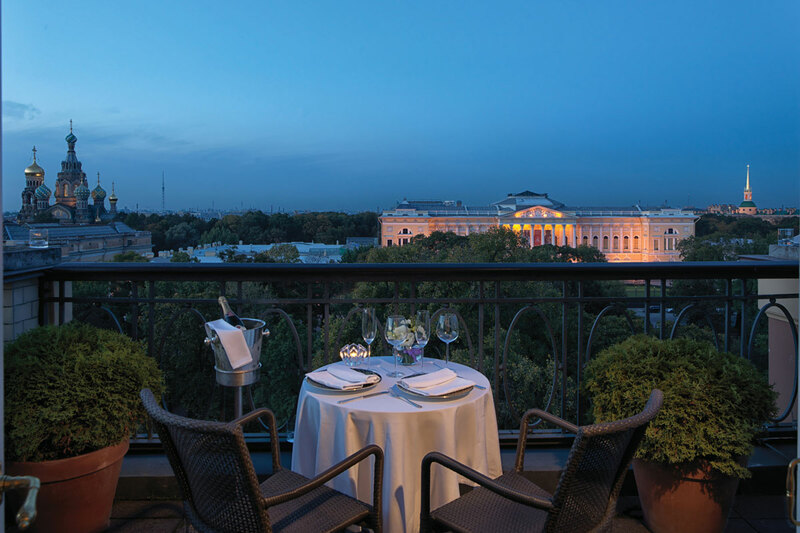 A total of 266 rooms and suites combine unrivaled imperial traditions of hospitality with 21st-century comforts to ensure a memorable stay. 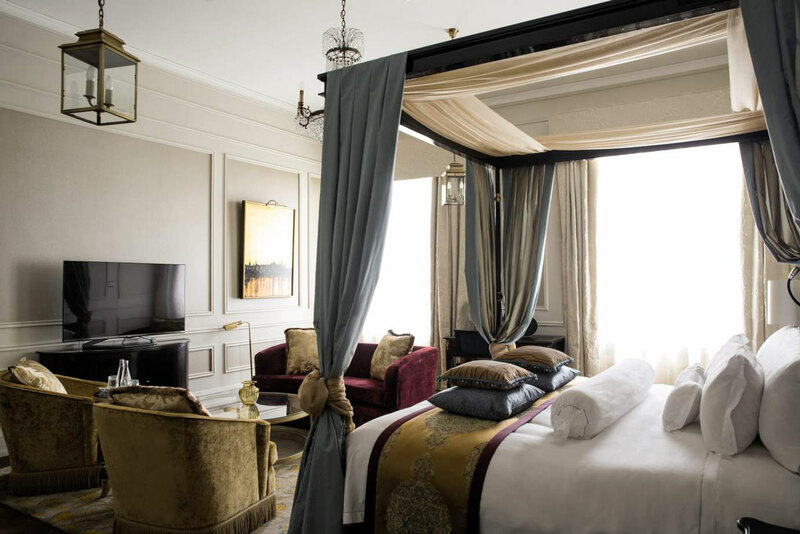 Feel the rich history of the hotel and city in our One-Bedroom Suites, each with an entrance hall, lounge, bedroom and bathrooms. 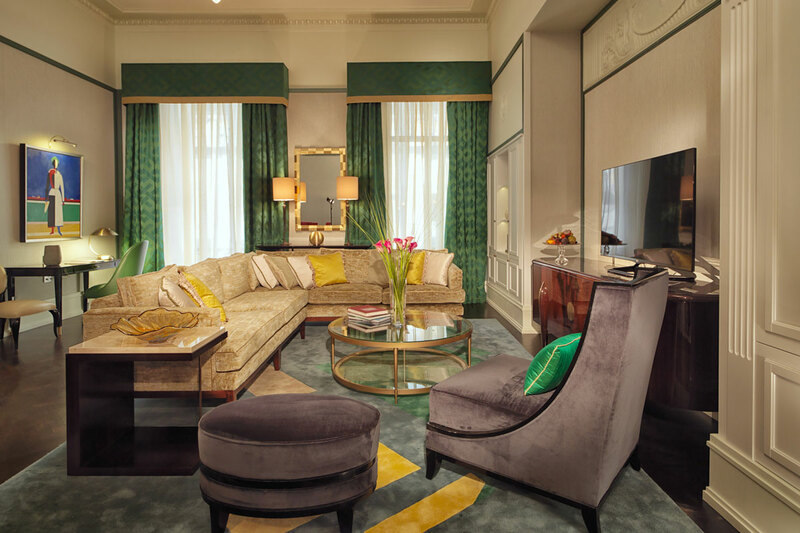 Savour the spacious 19th-century charms of our Junior Suites and don’t miss the magnificent views of the city from the top-floor Terrace Rooms. 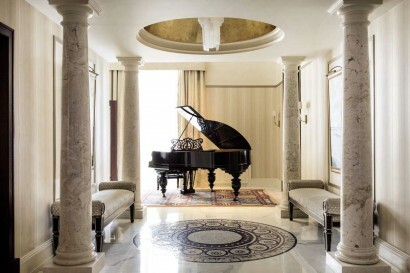 Every one of the 10 Unique Historic Suites has its own name, which reflects the rich history of both the hotel and St Petersburg, and a corresponding original design concept (Dostoevsky, Mariinsky, Faberge, Pavarotti. Amber and other Suites). Modern levels of comfort are guaranteed by furniture that has been made to order, but the spirit of old St Petersburg will be preserved through the use of antique furniture and furnishings, which adorn the hotel extensively. Designed in homage to Russian art of the 1900s, the five brand-new Avant-Garde Suites (Malevich, Archipenko, Rodchenko, Kandinsky, Lissitzky Suites) are named after famous artists from the era. Opulently decorated with high ceilings, each space is individually designed to reflect its namesake artist and features specially commissioned artwork that is reminiscent of their work. Sprawling over 350m2, the lavish Presidential Suite is accessed through a grand lobby with dramatic domed gold-leaf ceiling and offers views of Nevsky Prospekt and Mikhailovskaya Ulitsa. The grand suite features two bedrooms with king-size beds, two marble bathrooms and a sauna. 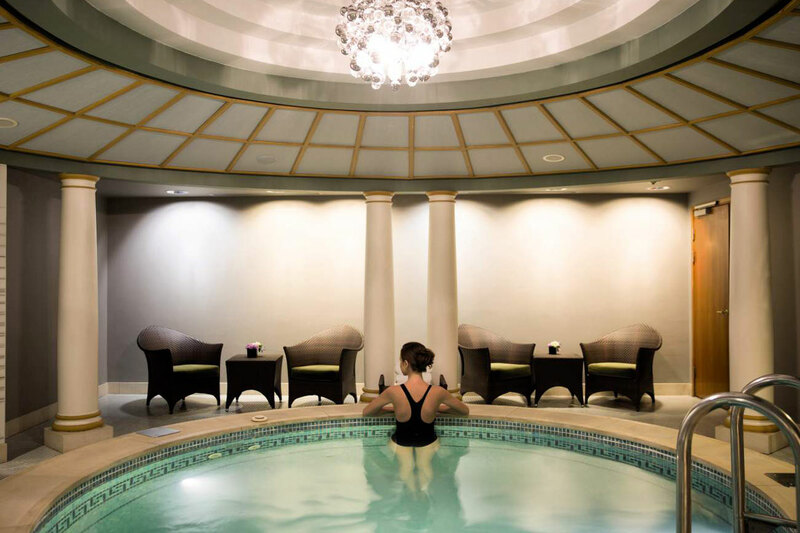 The suite has its own exclusive fitness centre with treadmill and cycling machine, a games room and a combined study and library with secret bookcase door leading to the bedroom. Guests in the Presidential Suite can enjoy privately cooked meals in the dining room, which seats up to eight people and is perfect for an exclusive dinner party. 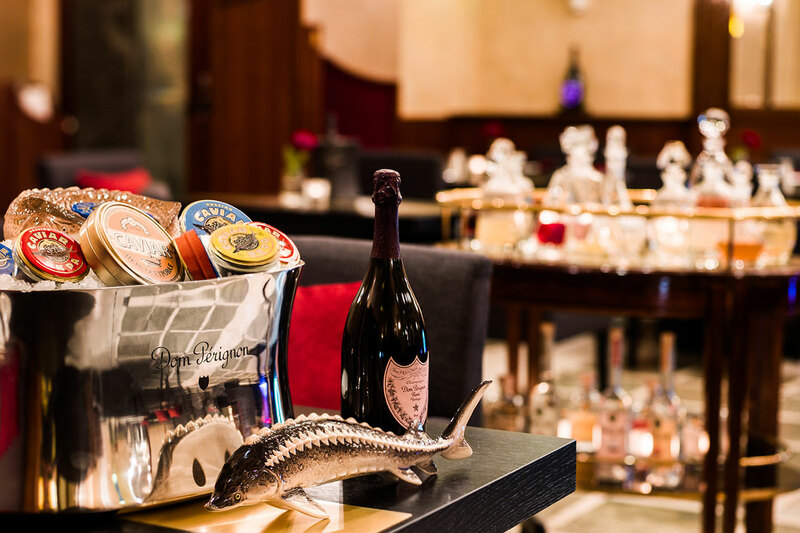 With a selection of gourmet restaurants, elegant cafés and bars, every taste of guest is catered for at Belmond Grand Hotel Europe. 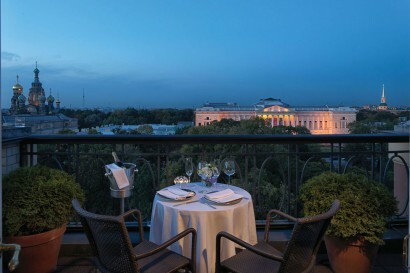 • Hotel iconic L’Europe Restaurant has been welcoming diners since 1905. Admire its art nouveau décor while savouring European haute cuisine. • City’s only dedicated caviar restaurant – Caviar Bar, where vodka sommelier pairs the finest caviar with ice-cold vodka. 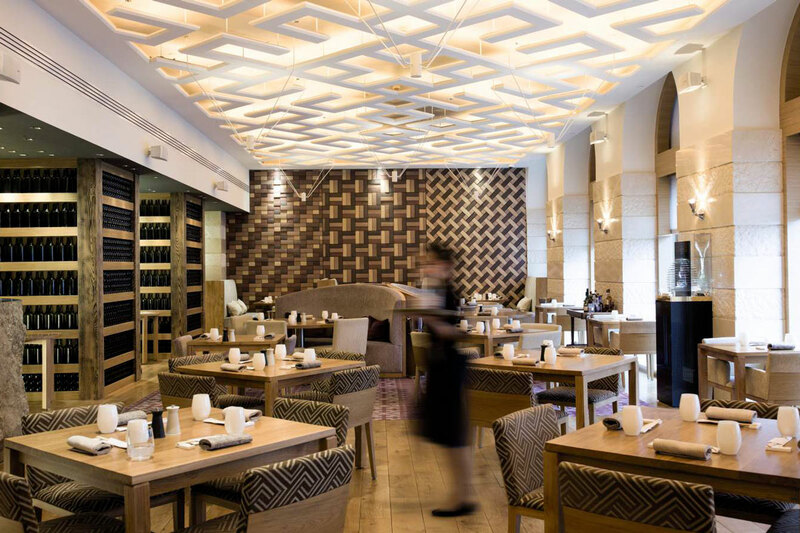 • At AZIA Restaurant an enticing fusion of Asian cuisines is on the menu. 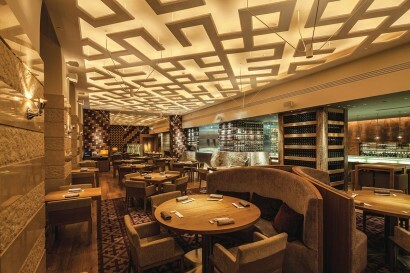 • The Mezzanine Café serves light dishes, including treats from the hotel’s own chocolate factory. 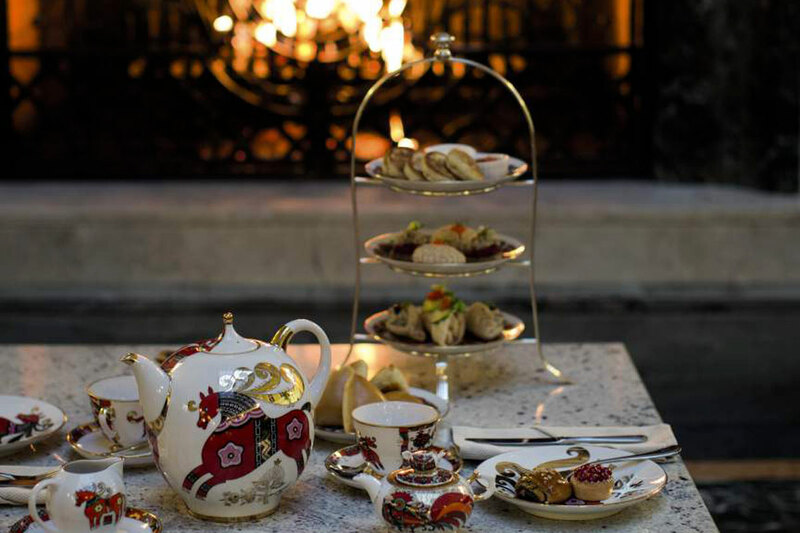 We also invite guests to indulge in Russian-style Afternoon Tea. 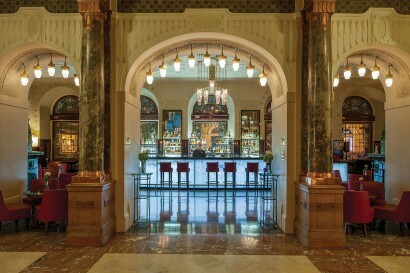 • The Lobby Bar, with live entertainment every night, is open round the clock. 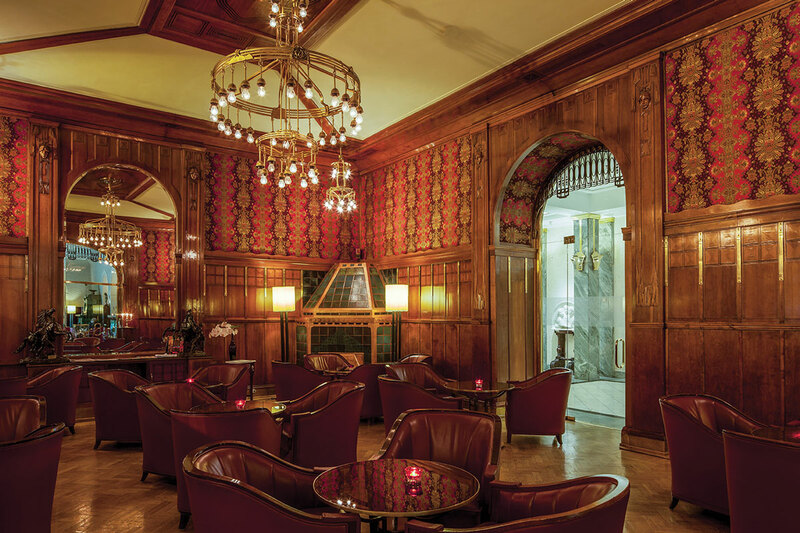 Belmond Grand Hotel Europe’s banqueting rooms regularly host the country’s most dazzling social events. Accommodating up to 250 people, they are the perfect setting for wedding receptions, dinner dances or intimate lunches. • Krysha Ballroom – The Ballroom can accommodate up to 200 guests for a sit down dinner, and up to 250 for reception.